We had a wonderful picnic out at Nancy Hathaway’s and Greg Peterson’s Tree Farm about a week ago. 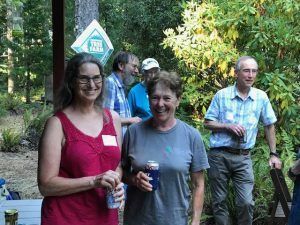 The annual Benton County Small Woodland’s Association social picnic was held at Nancy Hathaway’s and Greg Peterson’s cabin in the woods. 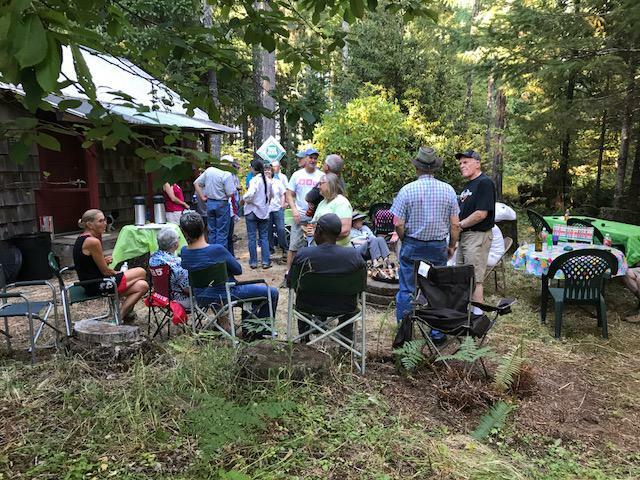 It was an opportunity to visit, enjoy delicious food, and relax with friends. 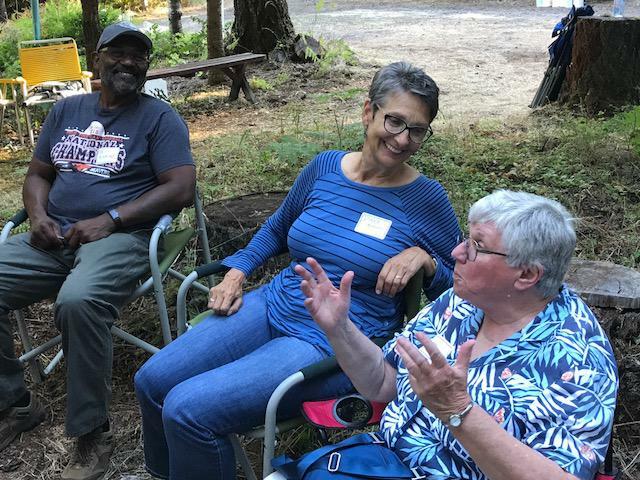 Nancy presented us with a quiz, leading to discussions about false brome, thinning options, and what was causing pitch to run down the side of one of the forest’s towering Douglas-firs. 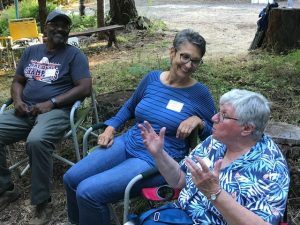 Topics of conversation ranged further afield than forestry, of course, but it was a love of our woodlands that brought us all together.